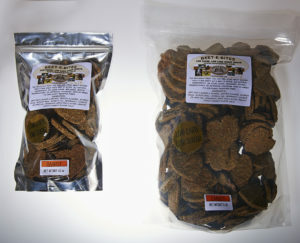 Yummy Low Sugar, Low Starch Licorice Cookie Crumblers, perfect for getting your horse to eat medications and supplements. 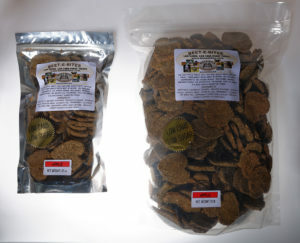 Same great recipe as our horse treats! 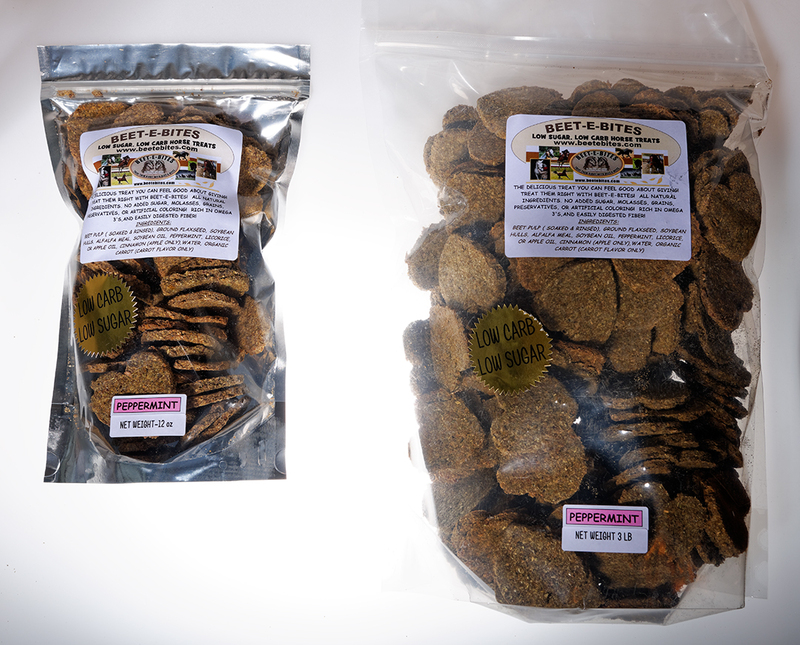 Cookie Crumblers are the safe and delicious way to get your horse to eat their medications and supplements. Just top dress their feed with these yummy crumblers, and watch those medicines go down! 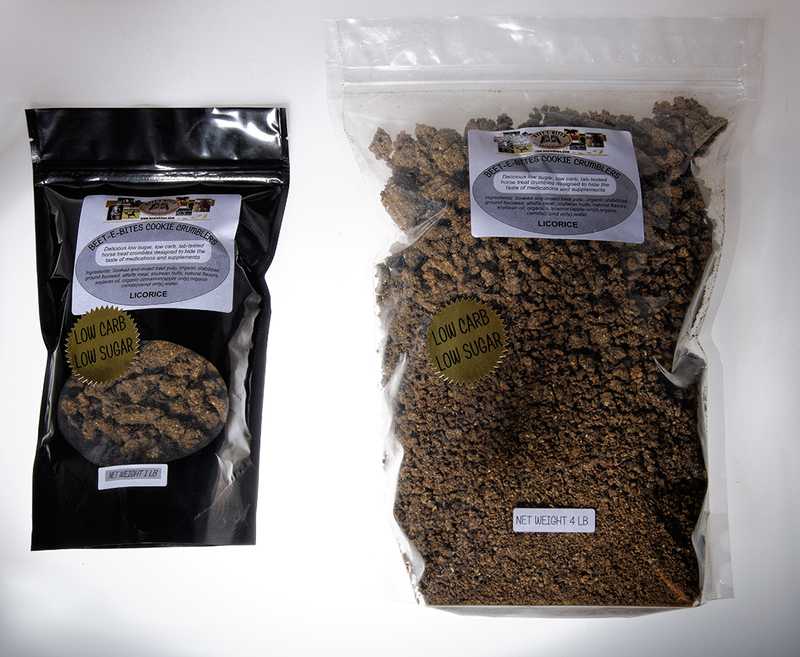 Give them the yummy taste of black licorice, flavored with anise! Be the first to review “Beetebites Licorice Cookie Crumblers” Click here to cancel reply.